Event Date: Thursday, October 3 to Saturday, October 5, 2013 featuring International conference and workshops on the Teaching and Practice of Creative Writing and Literary Translation. 'Reaching the World 2013' was a successful international conference that brought together more than 150 authors, literary translators, emerging writers, teachers of creative writing, literary scholars and publishers from 22 nations. It involved a series of wide-ranging discussions, creative writing workshops, public readings, and special keynotes on topics highly relevant to the practice and teaching of literature in Asia. Distinguished scholars from universities in the Philippines, Vietnam, Australia, Hong Kong, South Korea, Japan, Thailand, India, the U.S.A. and the U.K. were among the delegates to this event. Given that writers in Asia are generally not attached to universities, many other delegates self funded their attendance. Funding from the Chula Global Network made it possible for the Faculty of Arts to co-organize the event with the Asia Pacific Writers & Translators Association (AP Writers). Other organizations which supported the conference included the South East Asian Writers Award (in conjunction with its 35th anniversary of S.E.A. Write), the British Council, the Fulbright Program, the US Embassy, the Indian Embassy, the Australian Embassy, the Singaporean Embassy, and the Prince Claus Fund for Culture and Development of the Netherlands. Generous additional support was provided by the Bangkok Metropolitan Administration. ‘Reaching the World 2013’ included five creative writing workshops which attracted approximately 60 participants, as well as well-attended public readings in the evening around the city – at a local poets’ haunt called the WFT Café and Gallery, at the Hemingway’s Pub and Restaurant, and at the Overground Bar and Café. 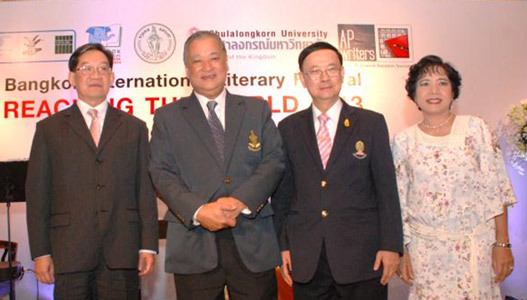 This cosmopolitan gathering of writers made it possible for the Bangkok Metropolitan Authority (BMA) to host a one-day free public international literary festival, in conjunction with UNESCO’s Bangkok as the World Book. The festival was, we believe, the first of its kind in Bangkok. 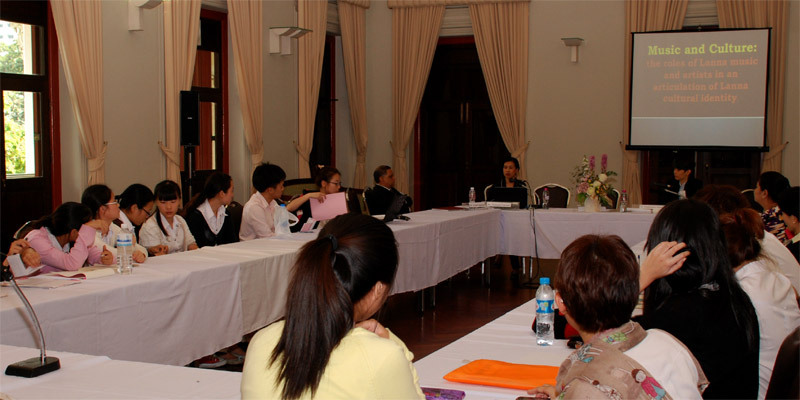 It included Thai poets and authors as well as the visiting writers. The BMA provided an auditorium and workshop space as well as catering on the day. Also, in recognition of this special gathering of literary talent, Bangkok’s Governor Mom Rajawongse Sukhumbhand Paribatra made a well-received speech at a glittering dinner he hosted for all conference delegates in the ballroom of the Mandarin Oriental Hotel. 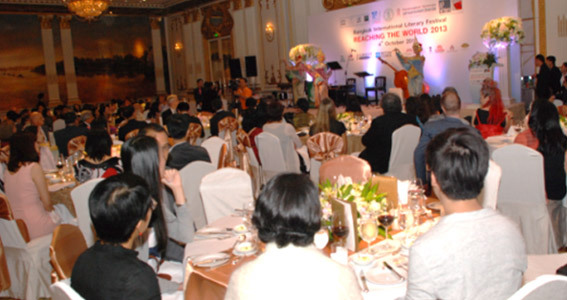 This special event supported by the BMA was held in conjunction with UNESCO’s Bangkok as the World Book. A report and summary video of ‘Reaching the World 2013’, from the perspective of the co-organiser AP Writers, can be found on http://apwriters.org/bangkok-what-happened-and-whats-next/. To provide a forum for international and local authors and poets, scholars of literature, Creative Writing teachers and practitioners, students, as well as readers to explore ideas and problems that inspire and impact literary works. To showcase the creative outputs of current and potential writers. To create networking between international and local writers, translators, scholars, and readers. To enhance networking and collaboration between Chulalongkorn University and other institutions and international organizations. A the opening, President of Chulalongkorn University, Professor Pirom Kamolratanakul, M.D., and Dean of the Faulty of Arts, Assistant Professor Dr. Prapod Assavavirulhakarn, welcomed delegates and thanked sponsors. AP Writers Chairman, the author Nury Vittachi, thanked Chula and the BMA. VIPs attending the opening included diplomatic representatives from five nations: Australia’s Ambassador to Thailand, H.E. 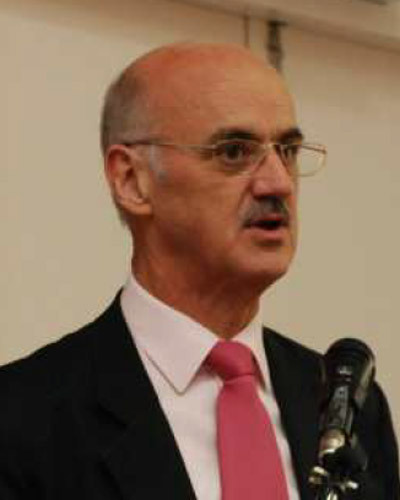 James Wise; Singapore’s Ambassador, H.E. 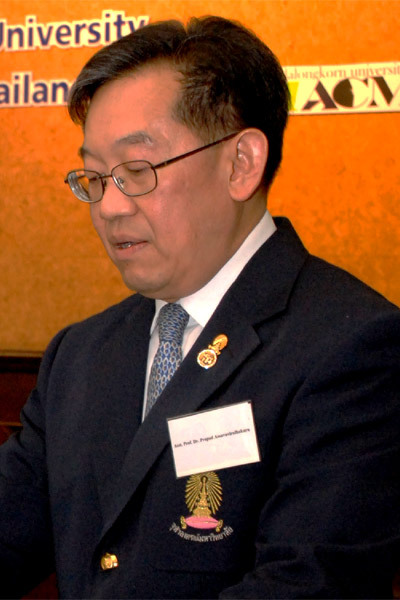 Chua Siew San; India’s Ambassador, H.E. Anil Wadhwa; representative of the Ambassador for the Netherlands in Thailand, Doris Voorbraak; the Cultural Attaché of the US Embassy, Michael Honnold; and the Deputy Director of the British Council in Thailand, Steve Bates. The first keynote was a provocation (‘Against Creative Writing and Literary Translation’) by Professor Dr. Harvey Hix, a Fulbright Professor. 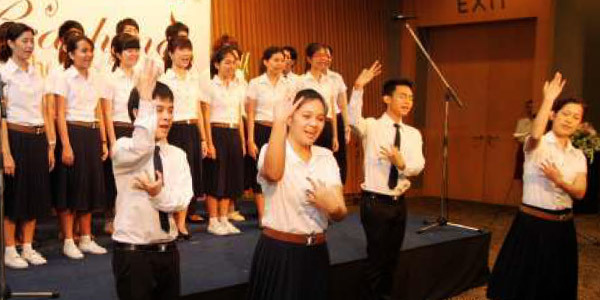 Hix was introduced by the Arts Faculty’s main ‘Reaching the World’ organizer, Associate Professor Surapeepan Chatraporn, Deputy Dean for International Affairs. 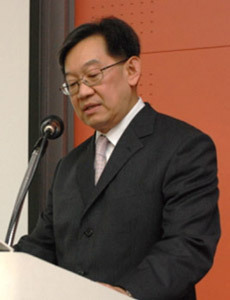 His address was followed by a second keynote delivered by celebrated US-Korean author Krys Lee. Her talk, “The Importance of Community for Writers,” set the tone for the rest day. Following a coffee break, the conference broke into parallel panels which featured enlightening discussion on the topics ‘Do Creative Writing Courses Turn Out Clones?’ and ‘Only Connect – Rule One for Writers’. (Full speaker details can be found on the AP Writers’ website: http://apwriters.org/reaching-the-world-2013-program/attachment/bangkok2013-alt/). The first afternoon session began with an informative interview with the author Sunjeev Sahota, one of the upcoming authors listed by Granta magazine as among 2013’s Best of Young British Novelists, by the Director of a new Centre for 21st Literature in the UK, Dr Katy Shaw. Dr Shaw’s and Mr Sahota’s participation were both supported by the British Council. Parallel sessions completed the afternoon, featuring 19 academics and authors, including Thai writer Prabda Yoon, whose contribution was warmly welcomed and admired by delegates. The day concluded with well-attended poetry readings organized by Bangkok’s poets at a local poets haunt, the WTF Café and Gallery. Thirty scholars and writers took part in panels or readings on the second day. The afternoon concluded in time for delegates to transfer from the University to the Mandarin Oriental Hotel for the dinner provided by the BMA. This spectacular dinner with the Governor as the host delighted all participants. Associate Professor Surapeepan Chatraporn, Deputy Dean for International Affairs of the Faculty of Arts, gave a report of the conference to the Bangkok Governor and all dignitaries which included Chulalongkorn University President, Professor Pirom Kamolratanakul, M.D., Australia’s Ambassador to Thailand, H.E. James Wise; Singapore’s Ambassador, H.E. 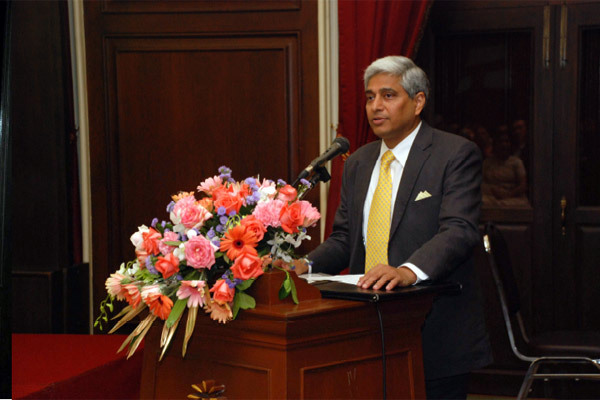 Chua Siew San; India’s Ambassador, H.E. Anil Wadhwa; representative of the Ambassador for the Netherlands in Thailand, Doris Voorbraak; the Deputy Director of the British Council in Thailand, Steve Bates, the Dean of the Faculty of Arts, Assistant Professor Dr. Prapod Assavavirulhakarn, BMA administrators and many guests of honor. 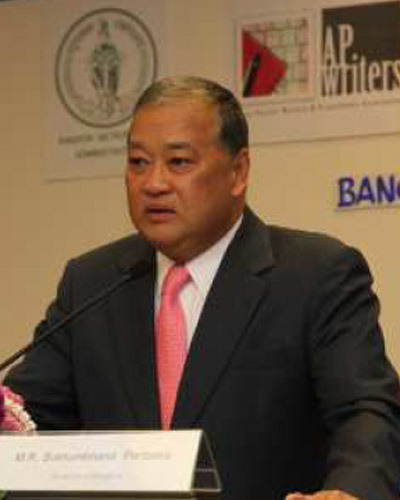 Bangkok Governor gave a speech on the importance of literature on ASEAN. As a token of appreciation and to contribute to Bangkok as UNESCO World Book Capital, AP Writers’ presented the Governor with over 100 books by the authors who participated in the conference for Bangkok’s libraries. The focus of the conference on the third day, Saturday 4 October, was on literary translation, starting with a keynote by Dr. Chris Baker and Dr. Pasuk Phongpaichit on their translation of the Thai folk epic The Tale of Khun Chang & Khun Phaen, called ‘arguably the greatest achievement to date in the field of South East literary translation’. The celebrated team was introduced by Associate Professor Dr. Trisilpa Boonkhachorn from Chulalongkorn University. In addition to the panel discussions about literary translation, the Saturday sessions included four half-day creative writing workshops led by international poets and authors. These were surprisingly well attended by Bangkok residents and visiting emerging writers. The evening event on Saturday was at Hemingway’s Pub and Restaurant. It was funded by five international authors launching their books. The Sunday Literary Festival at the Bangkok Art and Culture Centre was supported by Asia Books which set up a book stall at the venue. One of the highlights of the festival was the opening session of Thai poetry, some of which was sung, or intoned in classic style, by Drs Witchnee Kuptawathin, Anothai Jinaporn, Siriworn Kaewkan, Glen Chatelier, and Tipsuda Chichana. The festival concluded with a poetry slam conducted by the Editor of Asia Literary Review, and won by Filipina poet Jhoanna Cruz. While the festival was underway, a full-day novel writing workshop was held in a conference room at the BACC, led by celebrated British author Sarah Bower. 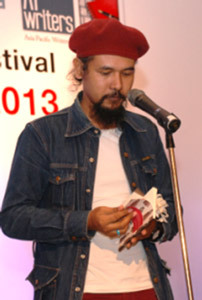 In all, the festival featured 38 authors and poets. 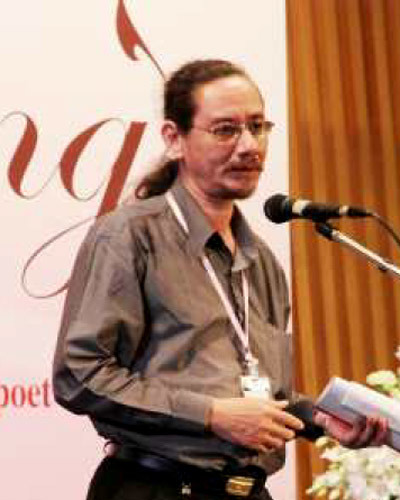 The full program can be found on http://apwriters.org/bangkok-2013-mini-literature-festival/. Reaching the World 2013 version 3.0 on Vimeo. This conference not just met but well surpassed its originally stated objectives. By all indicators, the conference was a resounding success. Media coverage was achieved in The Bangkok Post, The Philippine Star, Komchadlouk, Sakul Thai, and the newspaper from Nation group. International participants identify Chulalongkorn University and Bangkok as a hub of creative writing and translation exploration and support. Local participants network with the international literary community. Student/teacher interchanges between Chulalongkorn University and international universities teaching Creative Writing and Translation have inspired future programs in these disciplines. 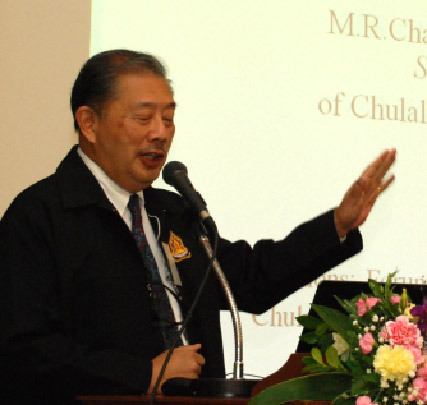 By forging such bonds between participants from reputable institutes as well as literary and translation associations in Asia, Europe, America and Australia, the conference has paved the way for further alliances, collaboration and exchanges in literary studies, thereby helping to bring Chulalongkorn University’s academic potential up to international standards, and fulfilling its mission to serve as the pillar of the Kingdom. The Section of International Affairs, Faculty of Arts Chulalongkorn University co-operated closely with the South East Asian Writers Award (S.E.A. Write) and the new Asia Pacific Writers & Translators Association (AP Writers) to hold a landmark international symposium in the lead up to UNESCO's 'World Book Capital 2013.' The event began on Monday, November 5 and ended on Friday, November 9, 2012. The venues were Maha Chakri Sirindhorn Building, Faculty of Arts, Bangkok Art and Culture Center (BACC), and the Mandarin Oriental Hotel. The symposium, 'Reaching the World 2012', had two key themes: 'The Value of Literary Prizes' and 'Translating Asia', the latter theme dealing with the importance of literary translations for writers from Asia to find an international readership. Reaching the World attracted more than 120 participants from at least 20 nations. 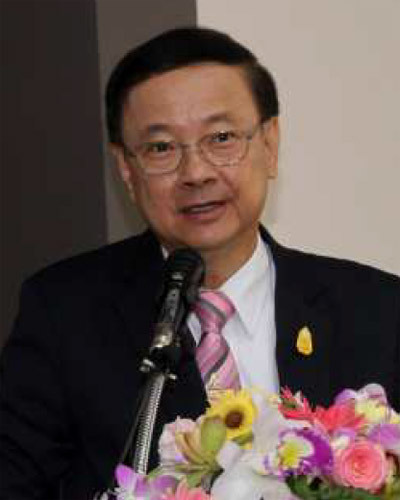 The symposium was opened by the President of Chulalongkorn University, Professor Pirom Kamolratanakul, M.D. in Room 304 Maha Chakri Sirindhorn Building, Faculty of Arts. Also attending the opening was Australia's Ambassador to Thailand, H.E. 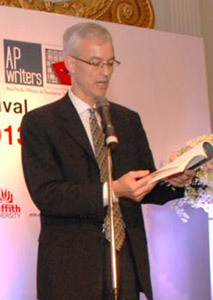 James Wise, who represented the Australia-Thailand Institute (ATI), which funded the participation of seven Australian participants. 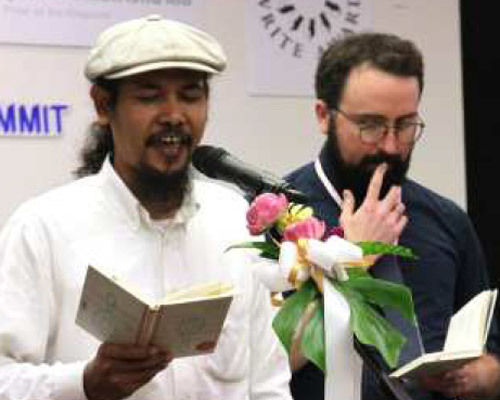 The ATI funded participants included two indigenous Australian poets, an Australian-Thai author, an Australian-Burmese novelist, and a two Chinese-English language translators, among others. 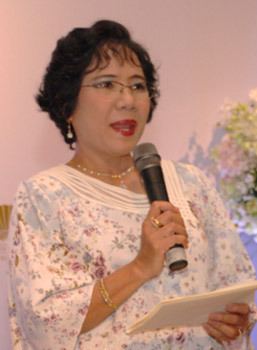 The opening was also attended by a representative of AirAsia, Khun Krid Pattanasan, as the airline made possible the attendance of four participants from neighboring Asian nations, including the celebrated Burmese poet Zeyar Lynn, Malaysian author Bernice Chauly, Indonesian-based publisher John McGlynn and Cambodian PEN representative Mr. Heng Sreang. Substantial delegations attended from the Philippines, India, Hong Kong, and Vietnam. The symposium heard numerous informative and provocative papers from authors and translators not only from Thailand but from other South East Asian countries and also north Asian nations and beyond Asia, including Italy and the UK. Insights from the symposium included the different, sometimes troubling way literary awards are decided in some countries, including both the lack of government support in some places and political interference in others. Numerous speakers mentioned the importance of quality literary translation that does justice to the language as the intentions of the author behind the language. One of the highlights of this important international meeting was the opportunity for scholars to mix with established authors, international translators, publishers and emerging writers. A special addition to the symposium was 'Author Showcases', at which poets and novelists read from their work. Their books were made available for sale at the venues, thanks to Asia Books. The first day culminated in poetry readings by Thai and South East Asian poets at the Bangkok Arts and Culture Centre, opened especially (normally closed on Monday) for Reaching the World 2012 by Bangkok's Metropolitan Administration (BMA). The poets who performed for a full theatre that evening were Thai poets Zakariya Amataya, Krit Lualamai and Kal Real as well as Zeyar Lynn from Myanmar, Thailand-based American poet Colin Cheney, and the distinguished Singaporean poet Edwin Thumboo, a long-time champion of the S.E.A. Write Awards. 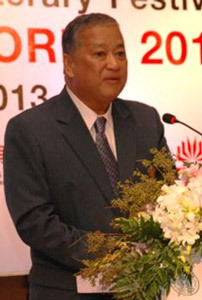 The Chairman of the SEA Write and Governor of Bangkok, M.R. 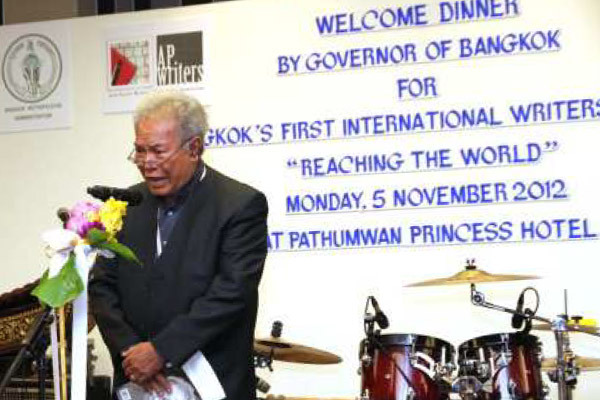 Sukhumbhand Paribatra, honored the participants and organizers by personally hosting a sit-down dinner with entertainment for all, on the first night of the symposium at the Patumwan Princess Hotel. Among the dignitaries were the Second Secretary of the Australian Embassy, Dr Moya Collett, many Deputy Bangkok Governors and mass media executives. Another addition to the symposium was the creative writing workshops. Established authors mentored emerging writers in small groups, enabling the writers to explore new ideas and extend their skills. Three workshops were offered. One on Creative Prose, led by the Hong Kong-based Indonesian-Chinese author Xu Xi; another on Poetry, led by Bangkok-based American poet Colin Cheney, and a workshop of creative non-fiction, led by the Australian author and journalist Matthew Condon. A further highlight on the second day of the symposium was a trip to the Mandarin Oriental Hotel where the author Mr. Harold Stephens gave a fascinating talk on 'The Spirit of S.E.A. Write' and the role the hotel has played in nurturing international writers for many decades. This was followed by a tour of the hotel's famous Authors' Lounge and library, led by the hotel's legendary Khun Ankana Kalantananda, a former PR Director for many decades, who has welcomed authors and other guests to the hotel for some 75 years. The symposium, or 'Summit' as AP Writers billed Reaching the World, had a professional emcee in the person of Khun Oraya Sutabutr. Other VIPS included AP Writers outgoing and incoming Chairs, Professor Isagani Cruz and Mr. Nury Vittachi. This one-week event, which featured a series of literary activities, was made possible thanks to the close and assiduous collaboration between the Faculty of Arts, represented by Associate Professor Surapeepan Chatraporn, Deputy Dean for International Affairs, Ms. Jane Camens, current Executive Director of Asia Pacific Writers & Translators Association, Associate Professor Soranat Trilanga, former President of P.E.N. International Thailand, and Khun Susie, PR Director, Mandarin Oriental Hotel. 'AP Writers is both as regional and as global as you can get. 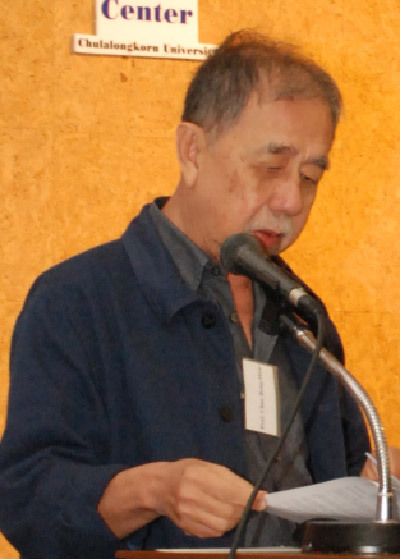 This reflects an increasingly obvious fact in today's literary world: international and inter-cultural exposure has become vital for writers, to expand both their perspectives and their networks,' wrote the award-winning Filipino author Jose Dalisay. For the visiting writers, the cultural highlight was the closing gala banquet in the Mandarin Oriental's spectacular ballroom where the South East Asian Writers' Awards were presented by Her Royal Highness Princess Sirivannavari Nariratana. International author Simon Winchester was the brilliant keynote speaker at the event and spoke of his meeting after many years with his mentor, Jan Morrison. One of the many remarkable aspects of the spectacular gala banquet was the dessert – a marzipan book with a chocolate feather quill pen. A fitting start to UNESCO's 'Bangkok World Book Year 2013'. "Critical Connections: Forum on Cultural Studies in Asia and Beyond" was a special one-day conference on Asian cultural studies hosted on 16 March, 2012 by the Section of International Affairs, Faculty of Arts and cosponsored by Chulalongkorn University's Asia Research Center and Master of Arts in Cultural Management Program, with special funding from the Chula Global Network. The "Critical Connections" conference aimed to provide both a brief snapshot of cultural studies scholarship in the region, as well as an international forum of dialogue for researchers with a common interest in Asian cultural studies in all its multiple forms. 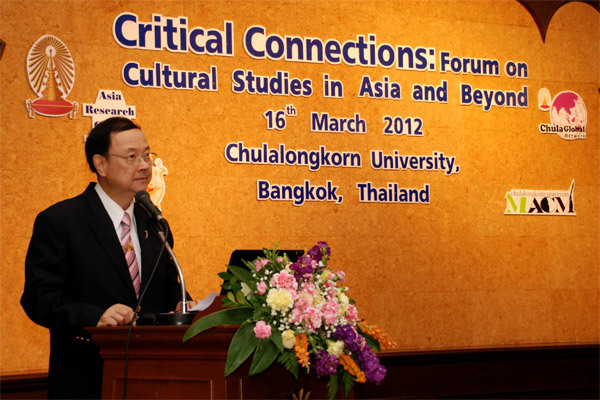 On 16 March 2012, more than one hundred delegates congregated at Chulalongkorn University's Faculty of Arts for "Critical Connections: Forum on Cultural Studies in Asian and Beyond". Some thirty presentations were given by scholars representing universities and research institutes in Thailand, Singapore, China, Indonesia, Malaysia, Hong Kong, Taiwan, Australia and the United States. The result was a dynamic showcase of cutting-edge cultural studies scholarship and a rare opportunity for scholars, students, professionals and interested lay people to hear about, learn, and discuss the latest developments in the interdisciplinary fields of Asian cultural studies. The Conference enjoyed an unofficial kick-off with a welcome prevent dinner for select international speakers and guests at Ruen Urai Thai restaurant on the evening of 15 March. In a casual environment, over twenty key conference delegates were able to get to know each other better, forging new professional friendships and/or reestablishing existing ones. The Conference proper got underway the following morning of 16 March at 8:30am with warm welcomes from Assistant Professor Dr. Prapod Assavavirulhakarn, the Dean of the Faculty of Arts, and Professor Dr. Pirom Kamolratanakul, President of Chulalongkorn University. The first of the Conference's two keynote addresses was then delivered by His Excellency M.R. 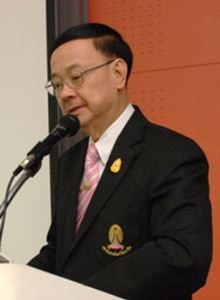 Chakrarot Chitrabongs, Distinguished Scholar of Chulalongkorn University and Former Permanent Secretary of the Ministry of Culture. Khunchai Chakrarot mused on his own experiences as a young man educated across two cultures to consider the significance of cultural heritage in a rapidly globalizing world. This was followed by a paper from the Conference's Keynote Scholar, Professor Chua Beng Huat of the National University of Singapore. Under the title of "Conceptualization and Referencing in Cultural Studies in Asia," Professor Chua assessed the important advances made in the fields of Asian cultural studies but also stressed the need for greater local conceptual specificity and intra-regional dialogue. It was a critically-rich presentation that set a productive tone for ensuing discussions throughout the day. There then followed a busy schedule of twenty-eight papers delivered across parallel sessions in three different rooms throughout the remainder of the morning and afternoon. These papers were organized into thematically-clustered panels that addressed many of the major areas of contemporary Asian cultural studies such as: Southeast Asian Connections; Education and Cultural Development; Popular Culture and Politics; Asian Cinematic Transnationalisms; Mediating Religious Cultures; Traditions and Rituals; Asian Queer Cultures; Tourism and Cultural Management; and Cultural Geographies. Within this dynamic context delegates were treated to papers on topics as diverse as Lanna music, Chinese martial arts films, Taiwanese queer theatre, Japanese heavy metal rock bands, Indonesian housing estates, Tibetan literary representations, Thai soap operas, Yunnanese cultural tourism, Hong Kong pet cultures, and much more. It was an exciting line-up of papers that was very well-received by conference delegates and that generated animated discussion in question time at the end of each session, as well as in the breaks afterwards. The day concluded with a closing Conference Dinner that was held in the Montientip Room at the Montien Hotel. Here almost one hundred conference participants and guests were able to consolidate the day's professional networking through further discussion over a sumptuous Thai-Chinese meal. They were also treated to entertainment in the form of a brief pre-dinner performance by the Faculty of Arts Student Choir, followed by a further musical performance during the meal from a talented Faculty of Arts student playing classical Thai compositions on the kim. It was a perfect close to a fruitful day of scholarly presentations and dialogue. The Department of English, Faculty of Arts, in collaboration with the Indian Studies Centre of Chulalongkorn University, Institute of Asian Studies of Chulalongkorn University, Chula Global Network, and the Indian Embassy in Thailand, organised the Bharatasamay International Conference on Indian Writing in English, which was held from 21 to 23 November 2012 at Room 105, Maha Chulalongkorn building, Faculty of Arts. By bringing together Thai and international researchers in the humanities and social sciences, this conference aimed towards promoting a critical understanding of India from socio-political, economic and cultural perspectives as well as towards promoting Indian writing in English among Thai readers. 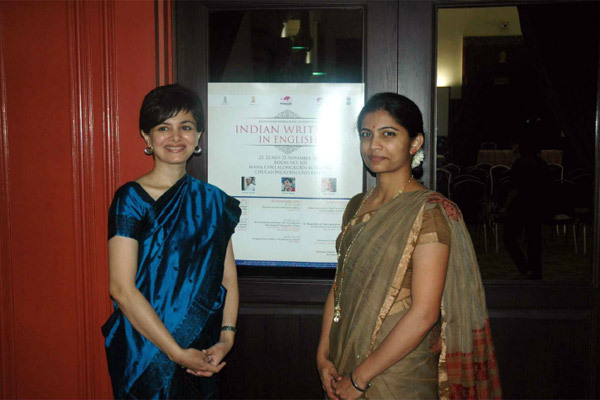 The Bharatasamay International Conference on Indian Writing in English was the first of its kind in Thailand. 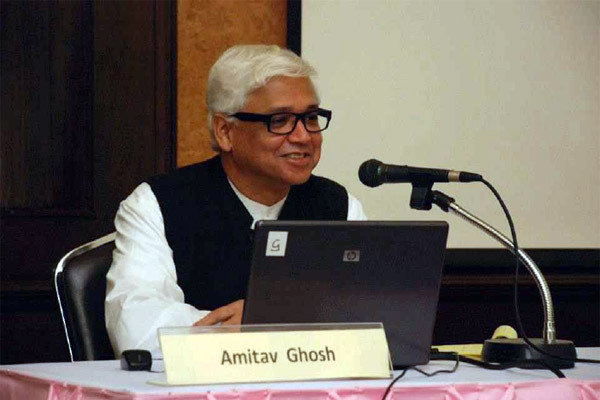 The keynote speakers of this international conference were: Amitav Ghosh, author of The Circle of Reason, The Shadow Lines, In an Antique Land, The Calcutta Chromosome, The Glass Palace, Incendiary Circumstances, The Hungry Tide, Sea of Poppies and River of Smoke, Jahnavi Barua, whose novel Rebirth was longlisted for the Man Asian Literary Prize 2011 and whose short stories collection Next Door was longlisted for the Frank O'Connor International Short Story Award in 2009, and Vikas Swarup, whose novel Q & A was adapted into an academy award-winning film Slumdog Millionaire. 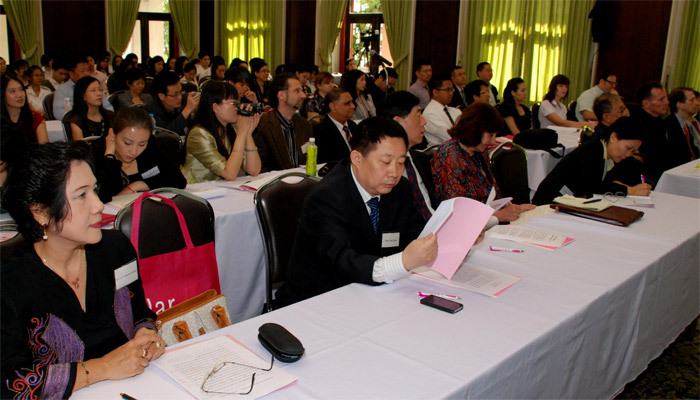 Papers were presented by Thai and international academics, researchers, writers and editors. The Chalermprakiat Centre of Translation and Interpretation is pleased to announce its first international conference on translation and interpretation (T&I), to be held on 1-3 November 2010 at the Imperial Queen’s Park Hotel, Bangkok.The event, presided over by HRH Princess Maha Chakri Sirindhorn, will feature internationally renowned T&I scholars such as Mona Baker (University of Manchester), Martha P.Y. Cheung (Hong Kong Baptist University), Wang Lidi (Beijing Foreign Studies University), and Ingrid Kurz (University of Vienna). Papers are invited on all aspects of T&I, with a suggested length of 4-6 pages. The deadline for submission is 1 June 2010. For more details, please visit www.ictithailand.com. The Japanese Section, in collaboration with faculty members and students from Osaka University, held an international symposium on Japanese Studies 2010: JST 2010 titled, “Toward the Creation of New Japanese Studies” on October 26, 2010 at the Maha Chakri Sirindhorn Building. The Asia Research Center in collaboration with the Section of International Affairs, Faculty of Arts, held an international colloquium on “Uncovering the Past: The Nineteenth-Century Royal Siamese Maps and Ancient Trade Routes” on October, 28, 2010, in Room 105, Maha Chulalongkorn Building. A first-of-its-kind for Thailand, the event was opened and presided over by Her Royal Highness Princess Maha Chakri Sirindhorn. The Colloquium was accompanied by an intriguing poster exhibition of copies of Siamese maps on display in the foyer of the Maha Chulalongkorn Building. 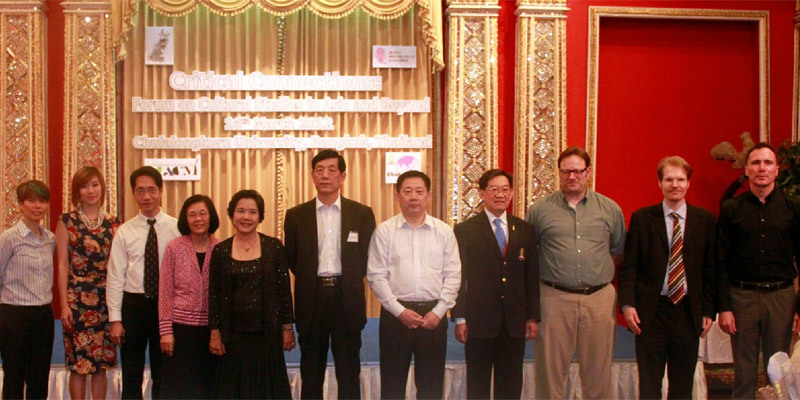 This international gathering of cartographic experts from Thailand, Malaysia, China, and elsewhere was brought together under the auspices of Her Royal Highness to report on ongoing research into seventeen royal Siamese maps discovered in 1996 in the Treasury Pavilion of the Grand Palace in Bangkok. Believed to date from the first three reigns of the Bangkok period (1782–1851), these military and trade maps, unlike many others of their kind, depict in rich detail many locations throughout Southeast and East Asia, extending from the Malay Peninsula to Korea. The Faculty of Arts in collaboration with the Embassy of India held and international conference on “Archaeology of Buddhism in Asia” from March 31 to April 1, 2010 at the Dipak E. Jain Hall, Sasa International House. 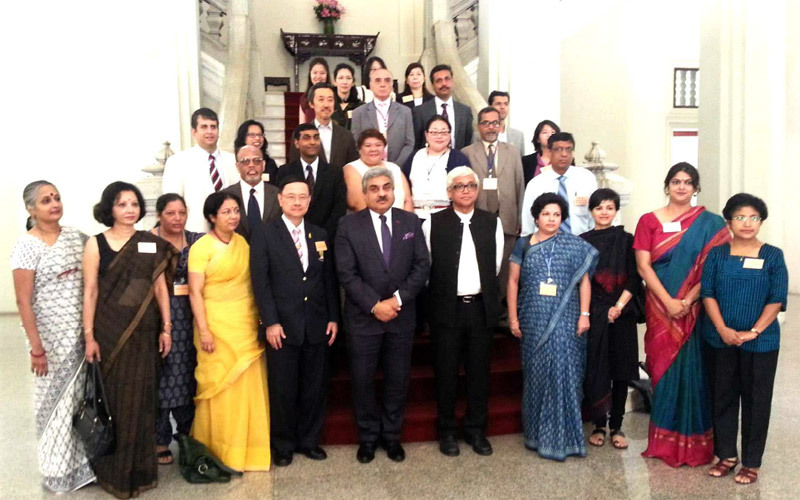 The conference, fully funded by the Embassy of India, and organized by staff members of the Section of International Affairs, Faculty of Arts, Chulalongkorn University was a pioneering attempt in Thailand at initiating academic dialogue and discussion on the Archaeology of Buddhism in Asia. As the lively exchanges during the two-day conference indicated, there was active participation from the audience, which included faculty members of Chulalongkorn University, researchers, archaeologists from the Fine Arts Department of Thailand and Friends of the Museum, Bangkok. generated so much interest that some participants were willing to stand in the overcrowded venue, and some were sitting in front of the stage and along the aisle.